The weather across the country is finally warming up! For many dog owners that means one thing is on their mind, shedding. As anyone with a dog can tell you, shedding is an unavoidable occurrence, regardless of age, size, or breed. That cute and cuddly fur that makes your pooch so cute will inevitably make its way onto your couch, or clothes, or carpet or anywhere in your home really. Why does my dog shed? Shedding is the process by which your dog replaces old and damaged fur with healthy new fur. Dogs shed differently from breed to breed, some shed less, and some shed more, some shed more as the seasons change and some shed year round! As we go from the cold weather to the enjoyable spring and summer months, many dogs will be getting rid of their heavy winter coat in favor of a thinner one. Blowing coat like this is what makes double coated dogs, like Huskies or German Shepherds, so notorious for shedding during this time of year. However not all shedding can be attributed to the normal life of your dog’s hair and can often be the sign of something serious if it occurs irregularly. Pay close attention to when your dog normally sheds and how severe it is. 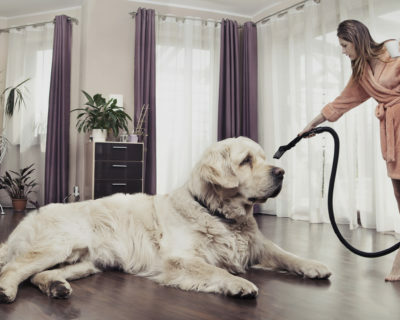 If your dog sheds excessively and at odd times, contact your vet. Are there breeds that don’t shed? If you have serious allergies or don’t want to deal with your home being covered in dog hair you are probably hoping there are some dogs that don’t shed. Sadly, there is no such thing as a shed free dog. Hair grows, it falls out, it is an unavoidable process. However, there are breeds to consider that don’t shed as much, breeds like the labradoodle and Chinese Crested are famous for their minimal shedding. Yet even hairless Chinese Crested shed and need some form of upkeep for their follicles. If you are allergic to pet hair and dander but still want a dog, then consider breeds that shed less and give them regular maintenance to avoid irritating your allergies. For those of you that own a dog that is a shedder then it’s important to know how to deal with it and what you can do. One of the most important things to do is brush your dog routinely, like a few times a week if you have a heavy shedding pooch. The brushing puts all that dead hair in one place, your brush, which is way better than it is ending up on your couch or clothes. It also has the added benefit of feeling good for your dog, if you do it right, which will bring you even closer! Baths can also help with getting rid of all that unwanted hair. You lose hair in the shower all the time, it’s the same thing just with more wet dog smell. A bath can get rid of a lot of hair all at once and cleans your dog at the same time, win-win. You can also help combat shedding with diet and vitamins. Dog skin and hair isn’t that different from yours and sometimes it can use a little help. Tevra Brands has an amazing soft chew that helps promote healthy shiny coats and helps combat shedding. Omega fatty acids and vitamins can work wonders for your dogs’ skin and coat, there hair will look so good you’ll wish you could eat them! If you have a double coated dog, then you should attempt to help them clear off all that extra hair as it’s important for them to regulate temperature. If your dog is still weighed down with thick heavy hair during a heatwave, they won’t be comfortable and that is no good for anyone! If you have a dog that is just single coated then you should still brush and bathe them regularly this time of year to help their shedding, even if it amounts to less hair than a double coated dog. 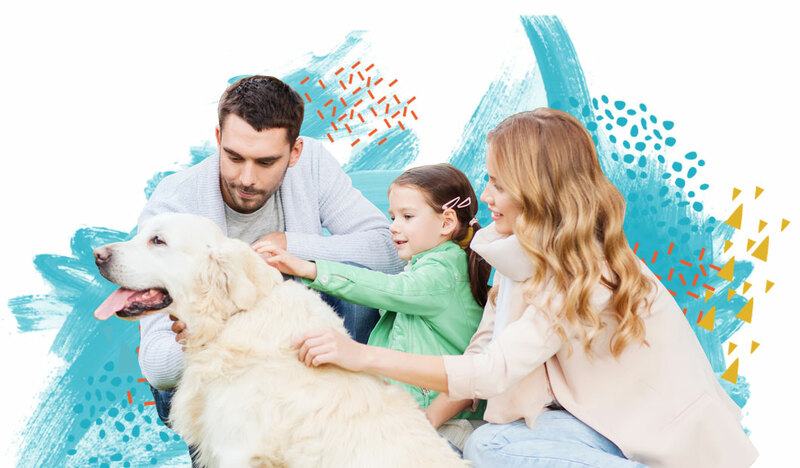 Shedding is no fun for you or your dog but it is an unavoidable part of pooch parenting, so make sure to help your pet live their best life and make shedding a bit easier for both of you!